The cheapest credit card in South Africa is still a Virgin. A Virgin credit card is the most rewarding card you’ll find in South Africa today. Looking for credit? What is the cheapest credit card in South Africa with the most rewards? There are many options available when choosing a credit card today. However, Virgin Money Credit Cards still hold all the cards when it comes to rewarding their customers. Virgin Money Credit Cards, ranked as the most affordable on the South African market today, is the ONLY credit card in the country that is free of monthly or annual fees. Interest rewards – Positive credit card balances are rewarded with 2.5% interest annually. This is applicable from the date cash is deposited into the account. Rewards programme – A FREE rewards programme is built into the account. These include 10% flight discounts on Virgin Atlantic Airways and other lifestyle promotions. Virgin Rewards Programme partners – This includes brand-names such as Pick ’n Pay Pharmacy, Netflorist, Netgifts, Altech Netstar, Kauai and Virgin Mobile. A Virgin Money Credit card gives holders the benefit of a simple fee structure, coupled with competitive interest rates. Automatic recurring payments save time and money. Contact firms you need to pay, provide your card details and pay your accounts on time each and every month. Sign-up for “NotifyMe” and receive SMS’s related to deposits, payments and purchases. This helps you to control your finances. Sign-up for an automatic annual increase on the limit imposed on your credit card. The Virgin Money Credit Card comes in Red, Pink or Black. Select the one that best suits your personality. You have the option to link up to three secondary cards to the main account. Virgin Money also offers a Car Card for fuel purchases. This card can also be used to access the main account. Obtain a Virgin Money Credit Card by applying online. 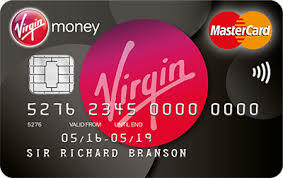 Visit www.virginmoneycard.co.za or telephone 0861 822 273. ← Virgin Money just won the credit card popularity contest.